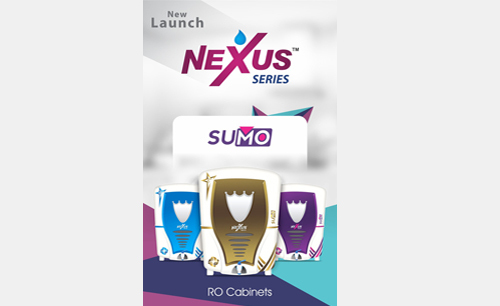 Nexus Sumo RO Cabinet Suppliers, Exporters,Domestic R O Cabinet Body,RO Cabinets Delhi is an originator cabinet which is straight forward and also obscure at specific spots. It is structured by our talented experts who have been serving the business for quite a long time. This Reverse Osmosis Cabinets cabinet is known for its alluring looks, sturdiness, completing, viability and a long life as tried by our specialists on variegated parameters. A leading Manufacturer, supplier, exporter of RO system Parts & Components like Reverse Osmosis Cabinets, Domestic RO Membrane, Domestic RO Pump etc and we are Exporter, Manufacturer & Supplier of Domestic R.O. Cabinet business doing last 20 year in Delhi (INDIA).With firm commitment to quality.